The Vampire Diaries epic return is January 5th, 2011 and it has been gone way too long. When TVD fans last saw the show Stefan had hidden the coffins containing the bodies of Klaus’ family (The Originals) and Klaus was not pleased. If you missed the episode you can read our official recap here. Episode 10 of the Vampire Diaries is called ‘The New Deal’ and it returns with a bang. We have some details of the new episode and some spoilers for you, so don’t read ahead if you don’t want to know. Elena is mad at Stefan and tells Bonnie that he has betrayed them. Meanwhile Damon is upset that Stefan messed up their plans but he loves his brother and when he meets up with Stefan he tells him how upset he is. Klaus lets everyone know by turning to violence that no one will be safe until he gets his family back. He already tried to convince Stefan to give them back and when he calls Stefan and says: “I will kill everyone you have ever met” Stefan responds, “Do that, and you will never see your family again.” Klaus decides to stops by to see Damon to enlist his aid to help him find Stefan and his family and when Damon refuses Klaus gives him a demonstration of how violent he can be. Bonnie will be involved this episode after she dreams about the originals although she will not be sure what the dream means she will be asked to use her witch powers . We meet a new character this episode called Dr. Fells (guest star Torrey Devitto, “Pretty Little Liars”), who is intrigued with Alaric’s amazing ability to heal. She will be around for a while this season. 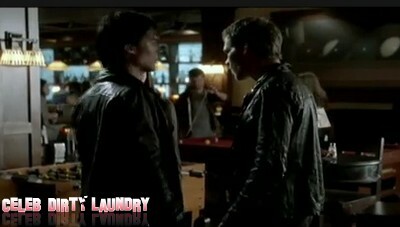 I cannot wait for the episode, make sure to stop by Celeb Dirty Laundry for more Vampire Diary spoilers and for the recap of the show on January 5th, 2011. In the meantime, enjoy the official trailer released by the CW. Enjoy! Let us know in the comments below what you would like to see in the second half of the season.